If you wish to send a parcel to Hungary, or if your business is quick to fabricate new business in this previous Eastern coalition nation, you ought to look at the various options of merchandise to the nation. This you can easily get with Courier Force. In the recent years there has been a great need for parcel delivery to Hungary especially from big transportation companies. Besides this many individuals also demand for sending gifts and packages to Hungary to their near and dear ones living there. Regardless of what the size or weight of the parcel you need to send, or its desperation, we have various discount options, from well-known and regarded courier companies to meet your requirements. A number of which you won’t find anyplace else, on account of our capacity, as the online courier service provider, to arrange bargains which you essentially can’t get by managing straightforwardly with the companies. We also provide you with online parcel tracking facility to trace your shipping to Hungary. You can also take advantage of our live online support system and request a call back facility. 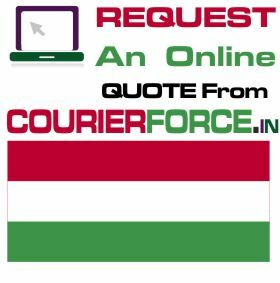 For sending a courier to Hungary you just need to mention the weight and dimension of your parcel and you can instantly get a quote from us. So call us now to send your shipment to Hungary. 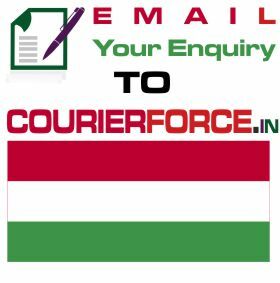 Prices below are door to door courier rates to Hungary from India. These charges are cheapest in India for sending courier to Hungary from India. This is by a courier company which is the best in industry for parcel services to Hungary . Again, Courier Force is one of the very few companies who have their own network for distributing parcel in Hungary . It will take anywhere between 3 and 6 working days to deliver your parcel to Hungary from India. 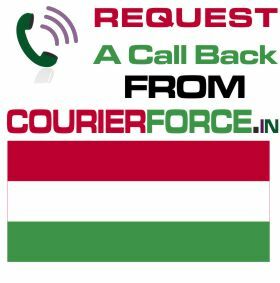 We will be simply collecting the parcel from your business or residence in India and delivering it to your destination address in Hungary. Duties, taxes and customs charges if any (in Hungary) will be additional.